1. With high accuracy LED blue light can calm acne, adjust the skin oil secretion and treat the acne. 2. New four polar technology, more easy, efficient, safty, can use any place anytime. 3. Unique design: the RF head is 30% more contact with skin to against the skin and more complete work. 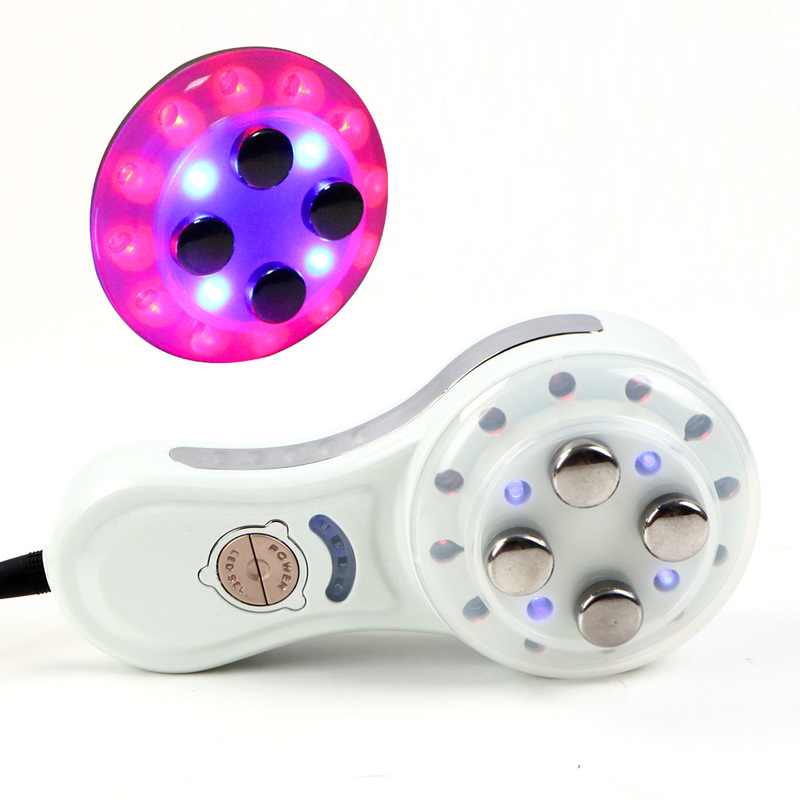 This machine combine with Radio Frequency and LED.Stick to use it, it can diminish wrinkles, the skin becomes white, and the skin condition is improved.Bipolar molecules are mainly composed of water and some proteins,they can get into deep skin from the probes,but it doesn't hurt the cuticle ,the effect can go deep into derma 2-2.5 mm,increase the activity of collagen makes your skin firm and elastic. This handle mainly use for generate heat 50-60 ℃ from radio frequency to get in skin fat cells, achieve the effect of Weight loss，Also make skin more elastic and luster. It mainly used on body slimming, cellulite removal. It use on belly, thighs, and back fat loss.